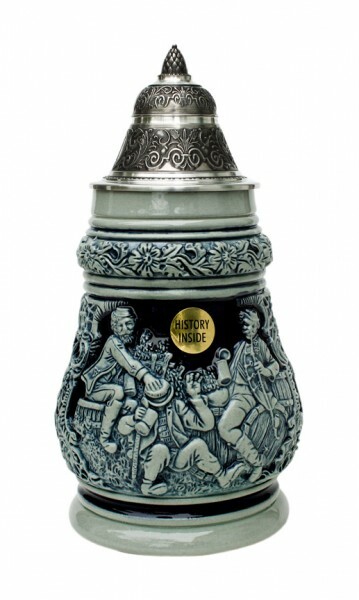 Product information "Father beer stein blue painted"
The Father stein showes you on the front three men haveing a great time. On the side is a German saying, what would translate to "It's nice when you young, but time never gomes back". A great gift specially for Fathersday, nice authentic german beermug with a tummy shape. Related links to "Father beer stein blue painted"
Customer evaluation for "Father beer stein blue painted"